LifeLadder® ensures safety in a variety of ports, cities, and marinas worldwide. 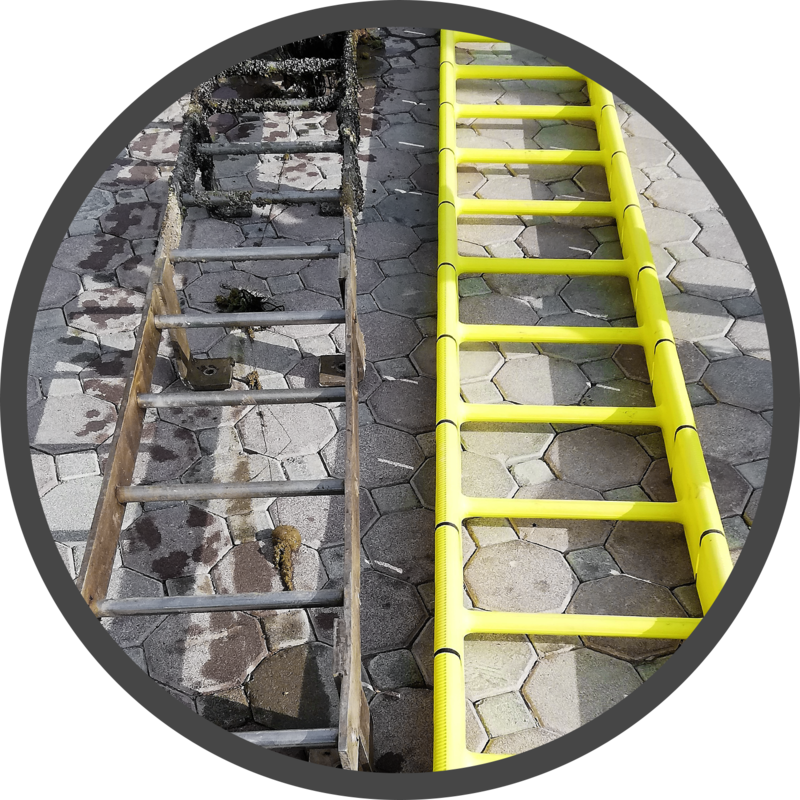 Our marine safety ladder is visible, durable, versatile, sustainable, and economic. See how LifeLadder® ensures safety in ports. We work with ports and municipalities worldwide. 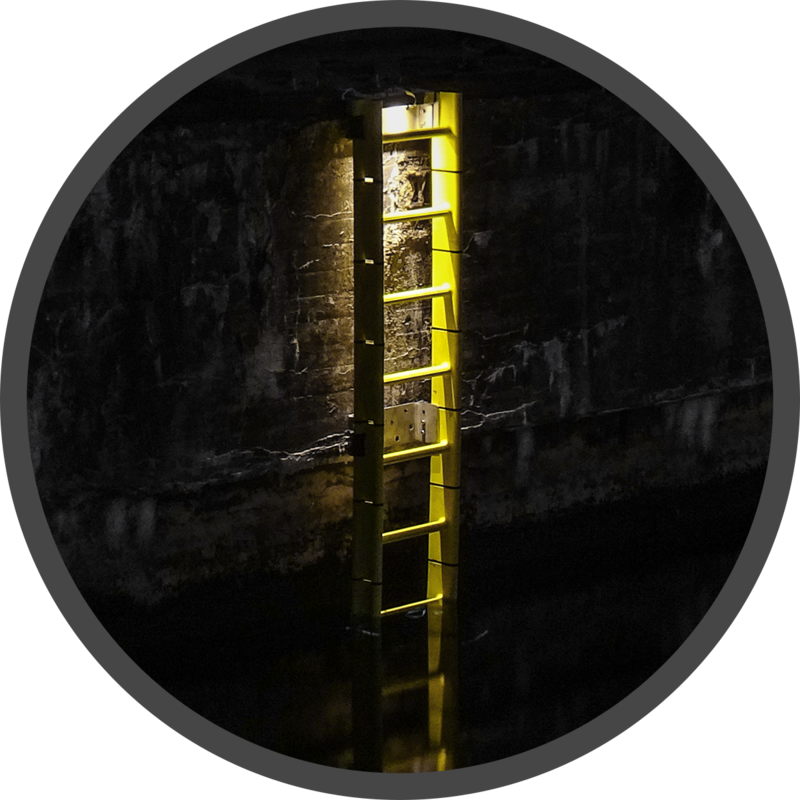 Speak to a member of our team and get a free port ladder quote. 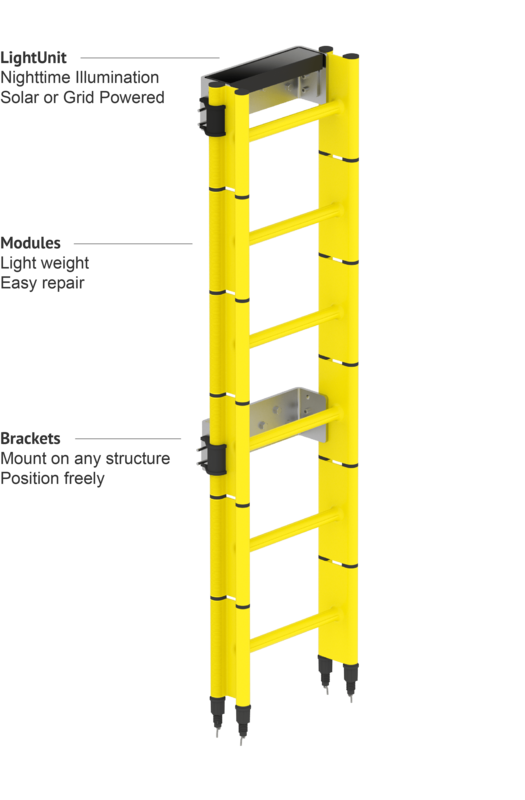 LifeLadder®’s signature bright yellow colour ensures visibility throughout the day, and the solar powered LightUnit illuminates the ladder and provides visibility during the night. LifeLadder® has a significantly lower weight than the traditional alternative and is easy to handle and install. Our product is maintenance-free, and its UV-stable plastic modules will never corrode. 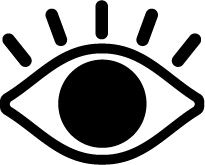 LifeLadder®’s vibrant yellow colour ensures visibility both day and night. Our integrated solar-powered lamp makes it visible at night, year-round. 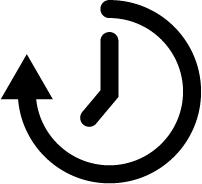 LifeLadder® is maintenance-free. It is made of reinforced, UV-stable plastic modules that will never corrode. 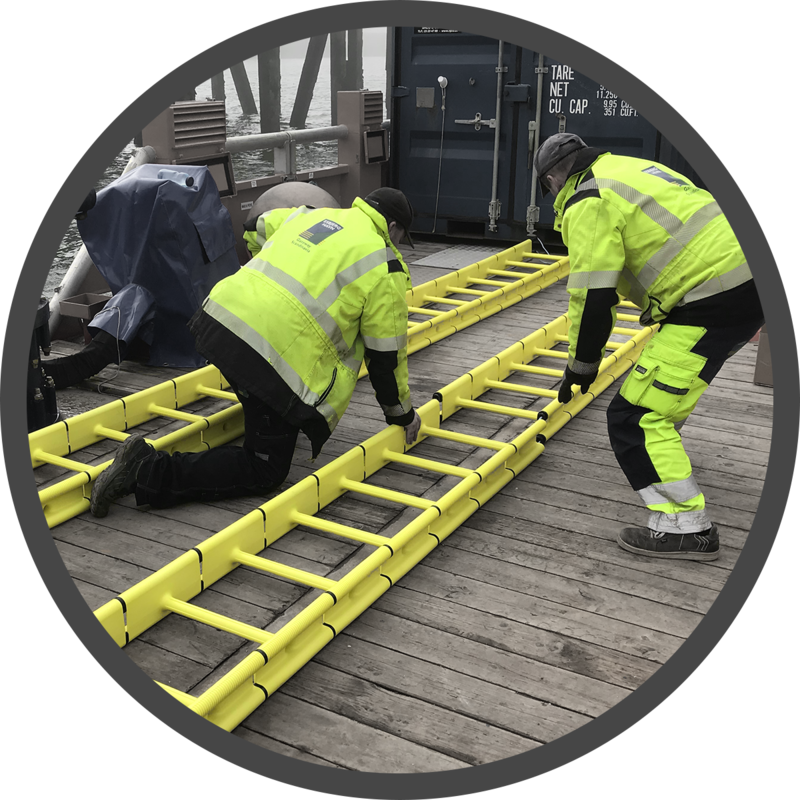 LifeLadder® offers a longer lifetime than traditional quay ladders and improved TCO. The length of a LifeLadder® can be customized to fit any quayside. Also, its modular construction makes it possible to replace damaged parts.